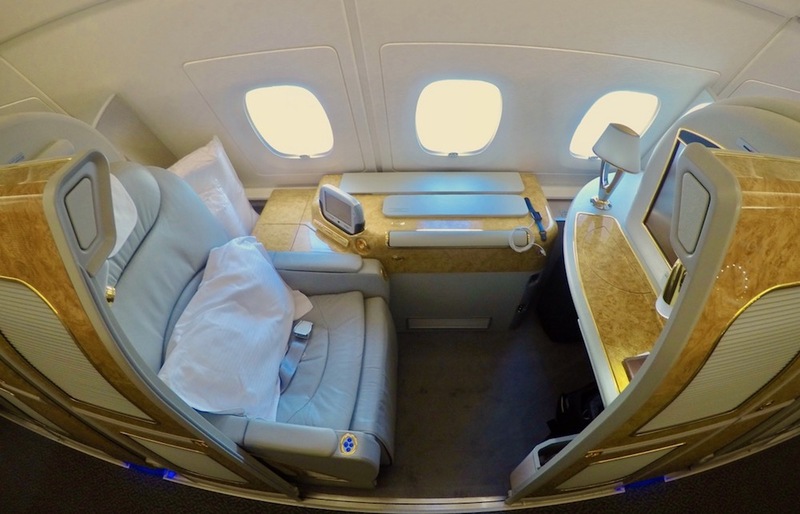 Last month, Emirates decided that redemptions made with their own points currency, Skywards miles, would be ineligible for the service from 1 March too. Currently, if you book a First or Business Class ticket with Emirates, you get a complimentary chauffeur transfer to the airport at your origin and from the airport to your accommodation at your destination. Note that this service is available in 70+ cities, but that doesn’t include the whole Emirates network. 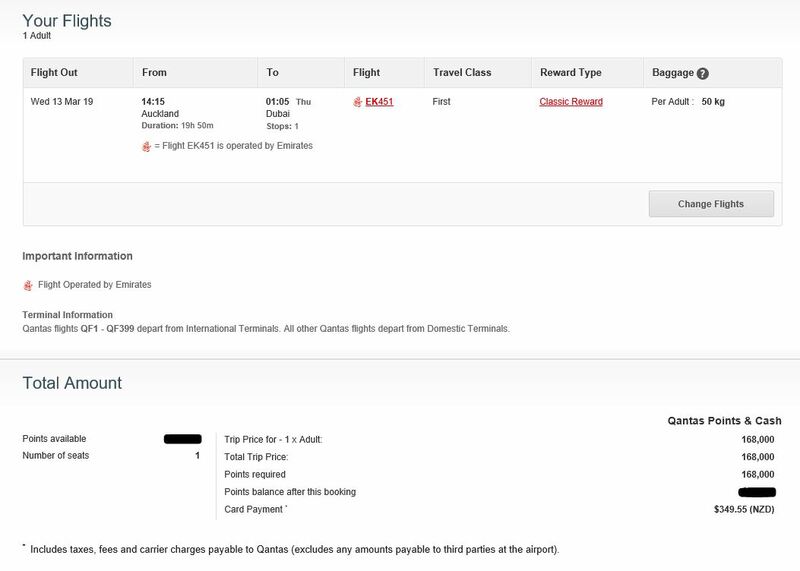 This is a negative change for Qantas Frequent Flyers, as well for those booking with other partner points currencies such as JAL Mileage Bank and Alaska Mileage Plan miles. Those booking via the Emirates Skywards program will also miss out. I have an Emirates First Class ticket that I used Qantas Points for from Dubai to Amman, Jordan for October of this year, so I will be sure to lock in my chauffeur service before 1 March. 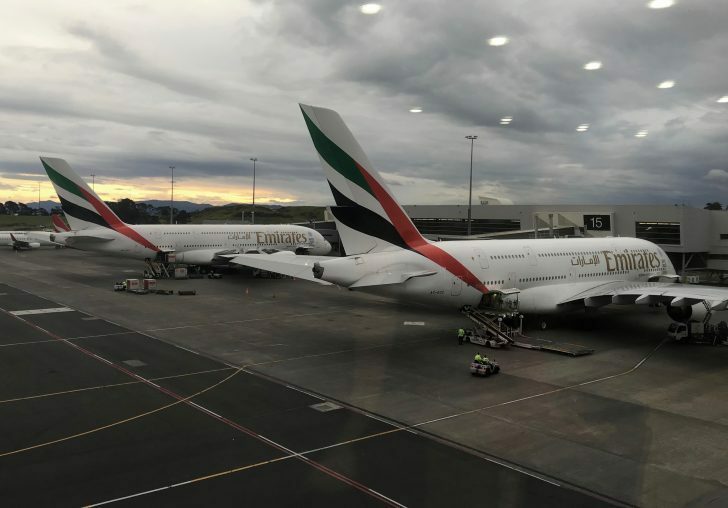 Emirates used to be one of the largest foreign airlines servicing New Zealand, with frequent Trans-Tasman flights connecting Christchurch and Auckland with Dubai and beyond. These flights have been scaled back quite dramatically in recent years however they still maintain a service to both cities. In this guide, we explain why using your Qantas Points on Emirates flights to Australia, Southeast Asia, Dubai and beyond is a great option. And it isn’t hard—here’s a quick look at the Emirates route network, the kind of pricing to expect, and how to go about researching and booking points availability with ‘EK’. Emirates have an extensive route network relevant to flights departing from New Zealand. The functionally excellent Emirates route map can be found here. 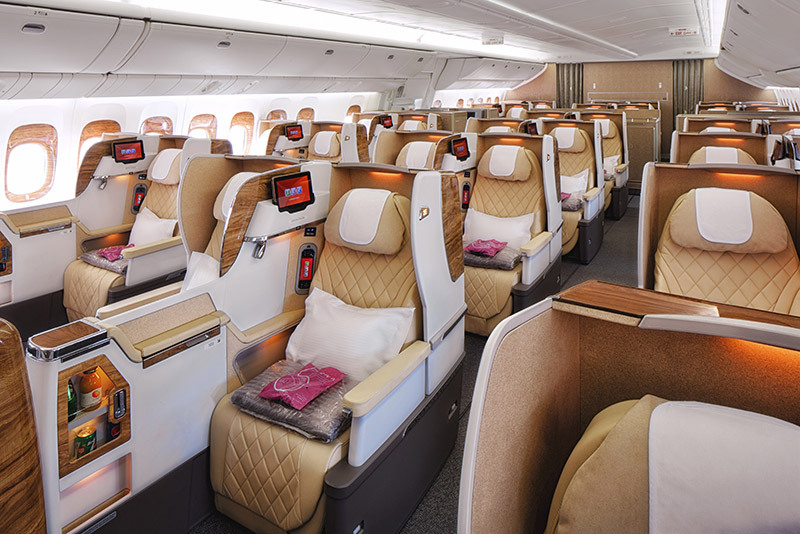 With the exception of flights via Bali, all flights originating from New Zealand to Dubai are operated by an Emirates A380 which features Economy, Business and First Class cabins. 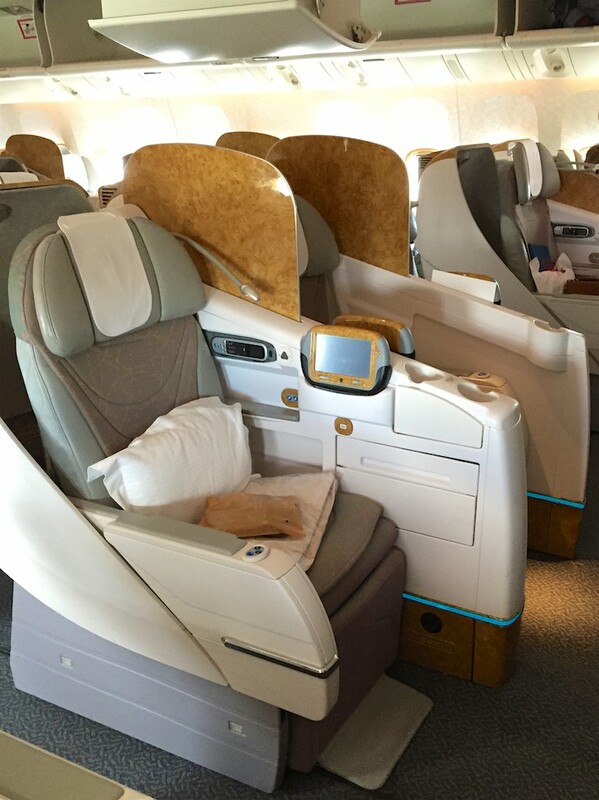 Note that some Emirates A380 flights in other regions can sometimes operate a configuration without a First Class cabin. Flights via Bali are operated using Emirates’ 777-300ER aircraft, which also features Economy, Business and First Class cabins. 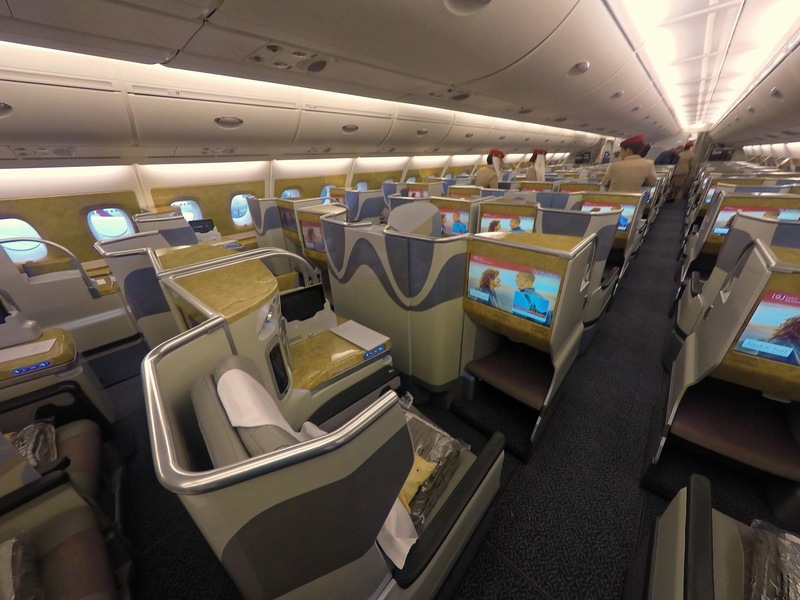 Emirates First Class is one of the best in the world and there isn’t much difference between the actual seat on the Airbus A380 and Boeing 777 but the latter does lack an onboard shower and bar. The tradeoff is that there are only eight First Class seats on the 777 compared to almost double that (14) on the A380, so you may receive more attentive service on the older aircraft. 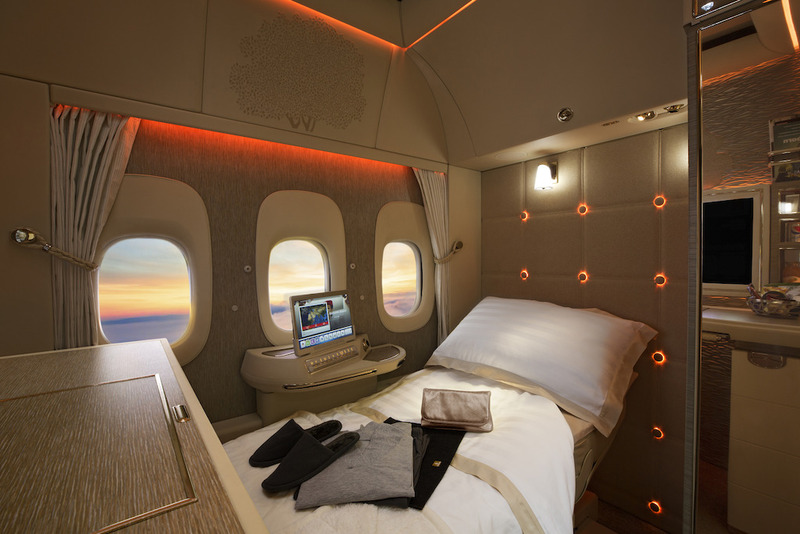 Note that Emirates have unveiled a First and Business Class products on its 777 fleet but the rollout will be very slow, so it is much more likely you will be flying on one of the two aircraft above. Emirates is a key joint venture partner for Qantas so the points pricing for Emirates flights when using Qantas Points is the same as if you were flying with Qantas on the same route. 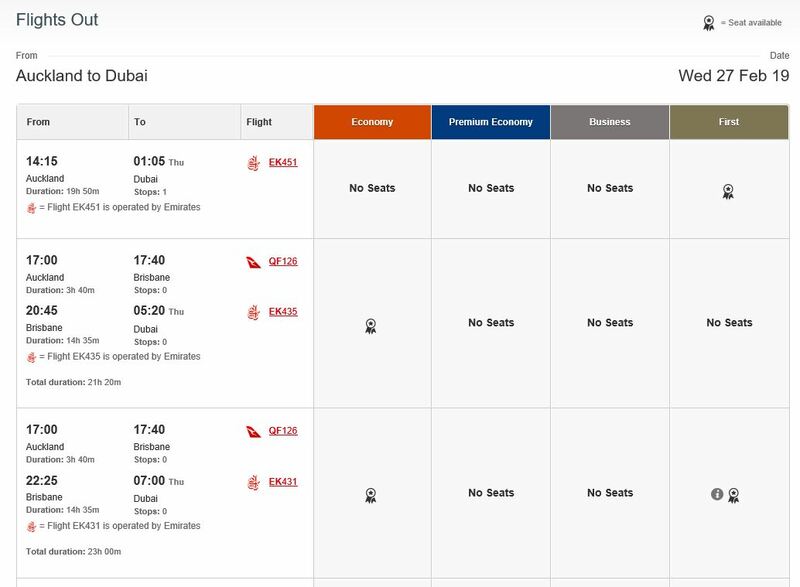 Of course Qantas don’t fly many of the routes that Emirates fly – that’s why they are partners – but that pricing is equivalent, unlike many of Qantas’ oneworld airline partners like Cathay Pacific or British Airways, who would be comparatively more expensive. 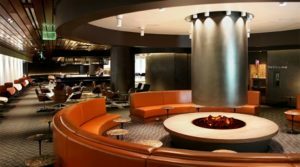 You’ll need to look at the Qantas Point redemption tables to see the full list of prices – look at the “Qantas Classic Flight Reward” which is valid for Qantas, Airnorth, Air Vanuatu, American Airlines, Emirates and Fiji Airways flights. The simpler way to calculate points pricing though is to use Qantas’ own points calculator, which you can find here. 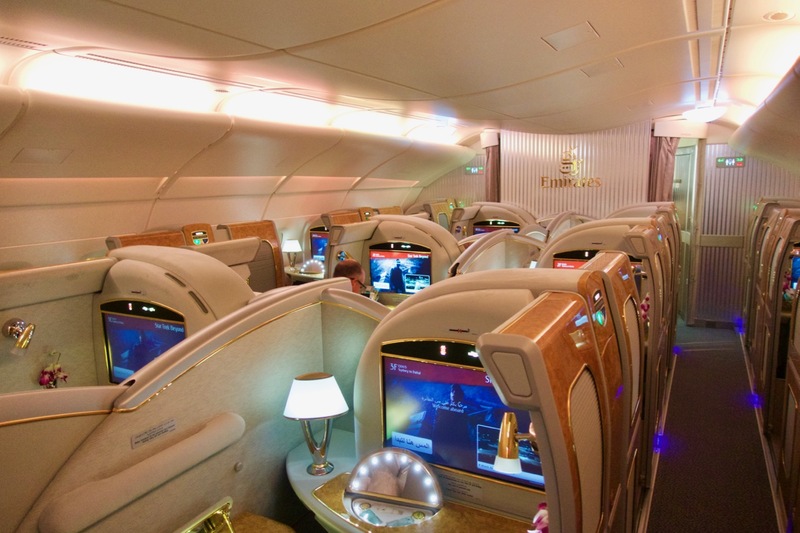 With Emirates it can absolutely make sense (in terms of redemption value, travel time, and connection options) to fly beyond Dubai for onward travel to Europe (definitely), Africa (especially North and Central African countries), South or North America (especially to the US East Coast). For the longest multi-flight itineraries (over 9,601 miles, up to 15,000 miles) you will spend a maximum of 128,000 Qantas Points in Business Class or 192,000 Qantas Points for Emirates First Class. 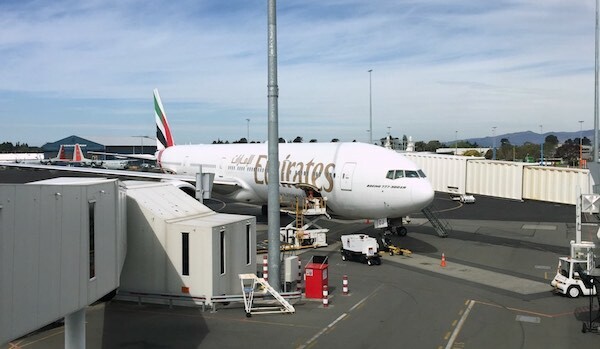 That is NZ to Europe on Emirates A380 in business or first class for only 16,000 or 24,000 more points respectively than the points required to NZ to Dubai alone. Taxes and fees are comparable to what you’d pay for a Qantas flight redemption – so they’re not cheap. Where you may not be able to use Qantas Points effectively to fly with Emirates is, of course, where it doesn’t make ‘economical’ sense to do so in terms of time and points spent. Outside of Bangkok and Denpasar, travel to North and South East Asian destinations or China, or from the New Zealand to US West Coast, for example. As a result, if you spot a good deal on a paid Economy fare, that’s probably going to be better value than using points for Economy travel (as it will include the taxes in the price you’re paying). That’s not to say using points for Economy flights is never good value – in some cases it definitely can makes sense, when paid fares are high on a particular route or in seasonal peak periods. But this is why we focus our best uses of points on Business and First Class – as paid fares are much, much higher in those cabins, so while you need more points to redeem for them, you’ll get a much higher cents per point (cpp) value out of your redeemed points – not to mention it’s a much more fun way to travel too, if you can earn and save the points with this in mind. Note that you cannot use Qantas Points to upgrade Emirates tickets purchased with cash. All this information is well and good, but you need to be able to act on it and make the purchase. Thankfully, Qantas.com is generally an excellent search tool for Emirates award flights. Emirates award seats should appear to Qantas members 330 days before departure but I have seen up to 335 days, so it may pay to check a little early. I prefer starting by going straight to the Qantas.com multi-city search tool here, regardless of whether I am searching for a multi-city itinerary. Make sure you check the box to show “Classic Flight Reward cities”, and to “Search Classic Flight Rewards”. If you want a flexible date search, check that box too – but this can be annoying if you aren’t actually flexible with your dates, as it adds an extra step to get to the actual flight results. On clicking Search, if not already logged in you’ll be prompted to log in with Qantas Frequent Flyer account credentials, and then you can start seeing flight results. In this example I am looking at Auckland to Dubai in just a few weeks time. Flights that begin with the EK airline code, e.g. EK451, are operated by Emirates. Qantas.com also clearly states this, and has a small Emirates logo icon in the results too. Something you should look at closely when searching for Emirates’ Auckland departures, is the number of stops on the routes returned. This is in small text near the flight details. 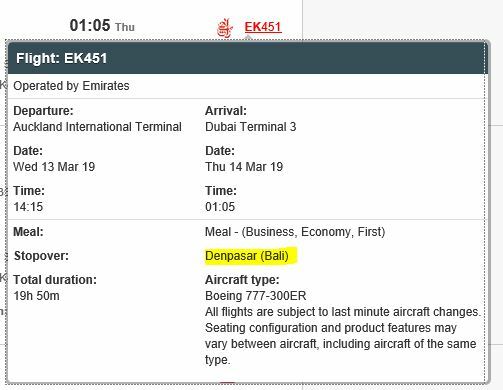 With Emirates operating two flights from Auckland to Dubai, only one is direct while the other stops in Denpasar enroute to Dubai. Flights from Christchurch will always be via Sydney. If direct flights are important to you then these extra stops are not desirable – unless you feel like ‘maximising’ your time and fun in Emirates Business or First Class, or you’re in Christchurch and don’t have a choice! From here, if you have enough Qantas Points in your account you can then get a quote for the taxes and fees along with the required points, per the example below. If you don’t have enough points in your account yet, give Qantas a call to find out and scope out the additional costs so you’re fully informed and prepared. Qantas, to their credit, have made using Qantas Points for Emirates flights very simple and attractively priced inline with their own flights as a key Qantas Frequent Flyer partner. Targeting your points earn strategies and redemption goals toward Emirates flights to Asia, Europe, Australia or even the US is a great way of maximising your return from every Qantas Point redeemed. 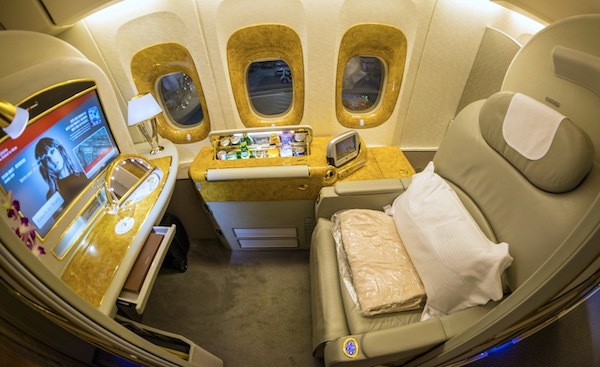 And for inspiration, here are some of the cheapest Qantas Points redemptions for luxurious Emirates flights. Have you had any great experiences from using your Qantas Points from Emirates? Let us know in the comments! So I’m trying to work out the best deal with the following scenario. I’m an Emirates Skywards member, currently sat on 14,000 points which expire September this year. 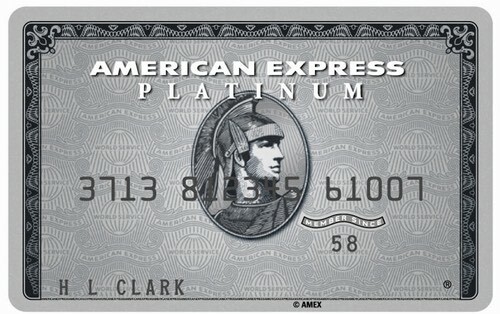 I’m also an AirNZ Airpoints member with 500 points/ dollars, and earning more easily with shopping/. credit cards. I’ve got some travelling planned both domestically and to malayisa/ indonesia/ East Timor from July to October, so am currently looking on how best to spend the combo above. But also, my parents are due to fly out to NZ from London on a Qantas flight they’ve already booked, so they have the potential to collect a load of points. They wouldn’t have much use for them with their infrequent flying, and it would be after all my flurry of flying as above, such that I couldn’t use them too. Was hoping with Emirates & Qantas’ close working there could be a good deal of transfer/ upgrading but not the case. Am currently of the opinion that I just spend away my emirates points as best I can (2x single domestic jetstar flights @ 7000 points each), get my parents to earn Qantas points individually on new accounts, and then transfer them to a new Qantas account for myself, which I understand you can do for free with that airline. Does this seem sensible? Is there a better trick I’m missing? Hey Adam – I think you have analysed this correctly. If you can earn a decent amount of Qantas Points from your parents’ flights and use family transfers to get them to you, I think you’re in a better place than if they had been credited to Emirates. I have never used my points with Emirates , whatever I put in I don’t seem to get anything , I have 56;000 points can’t seem to get even a booking cheap from Auckland to Australia, I must be doing something wrong ?